The Gospel Filled Wallet is like a dish pan of cold water in the face of anyone who claims to love God. At a minimum, this little book is a “gut check” for the believer. Jeff Weddle takes an honest, thorough, look at what God says about money and people’s natural attachment to it. He begins with this biblical principal, “You can’t love God and money”, you will serve who, or what, you love. Weddle examines verse after verse in the Bible with simple, frank commentary, and with each page your vision will become more and more clear concerning how you personally think about money and riches. 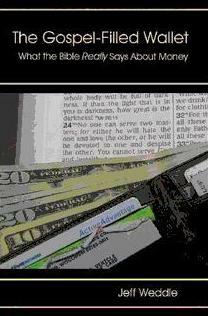 The Gospel Filled Wallet does not examine everything God says about money and a Christians relationship to it, but it absolutely gets to the heart of the problem by citing many verses from the Bible and by looking at the lives of many biblical characters. This book pulls back the curtain and reveals a professing church that is very far off base when it comes to wealth. I have been challenged to reexamine my heart and how I use what God has provided. I recommend the work and hope that everyone who reads it will in the end love and serve God more and use their blessings more wisely to God’s glory. Weddle’s writing style is simple, bite sized, and easy to digest. The book is available at Amazon.com and other outlets and the author has a blog with the same name where he talks more about this subject. This book is a project of Transforming Publishing and my friend Milton Stanley. Milton blogs at Transforming Sermons and is well known around Christian blogdom. He is an author as well and I look forward to other books to follow as Transfroming Publishing gets its feet on the ground. If Milton Stanly publishes it, I recommend it. “Her children rise up and call her blessed; her husband also, and he praises her”. I am long over due! The 13th of next month I will have been married to this wonderful woman 11 years. How do I describe her? In a word, Amazing! If I chronicled here all she has accomplished, just since I have known her, most of you would applaud and perhaps a few of you would grumble that a woman has that much influence. Much of what she initiated, suggested, or orchestrated behind the scenes, she will not be credited for. But she didn’t do those things to improve her ego, trust me when I tell you, she doesn’t have a self-esteem problem. When I read the passage where Paul mentioned and commended those “women who labored with me in the gospel” I always think first of Carol. I know no person with more ambition and determination to get things done for the kingdom. She is a driven lady who is just as ambitious in her singing, preparing for a house party, or getting help to people in need, she is an equal opportunity enthusiast. Only God can anticipate what she can facilitate! Carol is a woman of vision. I have never known any person, man or woman, who can see the end of a dream long before I start to think. She just assumes nothing is too hard and if something is worth visualizing it is worth realizing. Again and again, I’m thinking, “That will never work!”, but it usually does work. Hard work is her gait. God made this gal with her cruise control set on about 85. She thrives on getting tasks accomplished. And she is not bashful about recruiting others to help. I lovingly gave her the nick name “The Little General”. She has come close to making grown men run away screaming. As I told one friend who was her pack mule for the hour, “Just do what she says and everything will be fine”. She is generous to a fault. Her heart and her hands are always open to those in need. Again and again I have seen her heart open and her hands busy to meet someone’s needs. I have seen her reach out in tangible ways to scores of people in amazing and creative ways to simply help. Her care for others is one of her traits I admire most. Her ear is tuned to that still small voice. 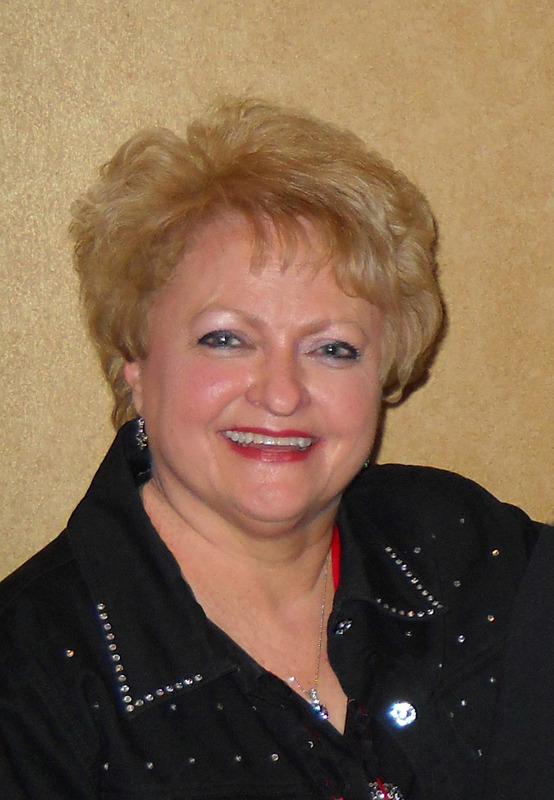 It is not uncommon to hear her say to me, “I just said that before I even thought about it.” Or “I believe the Spirit (of God) wanted me to do….” or “say ….”. And there is a couple with an adopted child, a husband with a godly wife and a one time widow with a godly man, and ….well you get the point I hope. From babies to marriages, singers and church vans, new ministries, and saying exactly the right thing to inspire hope in the hopeless, I am married to a woman who ‘walks in the Spirit”. Loving is as natural as breathing. I have been loved in an amazing ways by this great woman, my wife. She loves her children and especially her grand children, nieces and nephews, aunts and uncles, old friends and new friends, the grieving, the poor, the lonely and the list goes on… They all are the objects of this great lover, My Carol Jane. Am I bragging? You bet I am! I strongly recommend WFR Relief Ministries for your Haiti giving. A reasonable question is “Why?” I am happy to tell you why. WFR Relief has been responding to natural disasters globally since 1981. For almost 30 years if an event has been significant enough to make national news we have responded the best way possible using funds donated by churches of Christ and individuals. God has allowed us to be a conduit for literally tens of millions of dollars over these years to get help and hope to the hurting in the most efficient and cost-effective way possible. On thing that sets us apart from other relief groups is our relationships around the world. In Haiti for example, because of our long-standing relationships with men who are speakers through our World Radio ministry, we know local church leaders well. In addition to these contacts, Don Yelton, WFR Relief Director, personally knows missionaries and local ministers in every corner of the earth. Don has become known as “Mr. Relief” because of his extensive experience and expertise in relief work. We know where funds are going and that every dollar will be administered by local church leaders to help their members and the member’s neighbors as funds make it possible. This time tomorrow we will have two men on the ground in Port-au-Prince. WFR Relief and World Radio Team Leader Ben Adkins and one of our own who has become a missions guru of sorts, David Heath, will be there accessing urgent needs and encouraging our brothers and sisters that help is on the way. 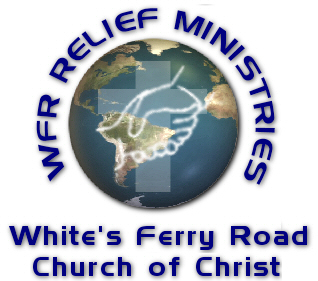 Because WFR Relief is a local church ministry and is housed in our church building in West Monroe, LA our overhead in only a tiny fraction of most other charities. And, in addition, for most of our 30 year history Relief has had no more than one or two employees. This has enabled us to get more money to the needy than any other relief ministry I am aware of. We have also cultivated partnerships over time so that dollars can be multiplied when we need medical supplies and other goods. It is not uncommon for $1.00 to do the work of $3.00 because of these relationships. It is our goal to as quickly as possible provide funds for urgent emergency needs for believers in Haiti and to engender hope as we do. Then long-term our hope is that we can assist with rebuilding housing and lives. We know that our obedience to God’s commands to care for the needy is a pathway for getting the good news of Christ Jesus our Lord to the masses. Relief is a wonderful ministry but it is not the end. It is rather the beginning of preparing for a harvest of souls for Christ to God’s eternal glory. I trust you will consider WFR Relief for your Haiti giving. Please pray for Ben and David as they travel and for the ministry team back at home. We have all heard it said “Remember the reason for the season“. Good advice I’d say because for many it is a season without reason. Today as I reflected on this happy time of year and the ever faster approaching day, I thought about these things. We celebrate Christ’s birth, and that is a good thing. I have little patience with those holier- than- thou types who have decided celebrating Christmas is bad because of some pagan, demon inspired conspiracy to cause Christians to celebrate an evil day. Without regard to how much one loves Jesus or how dedicated one is to him and his teachings, people the world over remember him at this time of year. I am glad. Jesus’ birth is something to be celebrated. His humble birth though would be virtually meaningless but for his cruel death. His willing dying is what makes his birth so special. Had he not died, been buried, and then raised again to life, his birth would get no more attention than most others who were born in Bethlehem (Except his mom was a virgin, not an insignificant fact) near the time Jesus was born. Born to die so I can live, my sin my shame to him I give. Immortality is his gift so free, a gracious offer is the gospel plea. I remember well when I heard the story, and bowed my will to the Lord of glory. Merry Christmas to me. Christmas is marked by giving, pretty presents covered with colorful paper and beautiful bows. But all the giving of ten million Christmases cannot match the gifts by God to sinners. Gifts? Yes, gifts. God gave his one and only Son that he loved to die bearing the sins of the world. Jesus gave himself a sacrificial lamb to die the death for every man. And, God gives forgiveness and eternal life to everyone who will accept. Looking back to a lowly manger in the City of David so many years ago does not compare to looking forward to the new Jerusalem, a city not built with hands. All who truly love Jesus will inhabit God’s city, feast at his table, enjoy Christ and bask in his glory forever. In birth God with us, in life on earth God among us, teaching us, at Pentecost God in us, today God shaping us, using us to love others, displaying his holiness in our lives to a watching, hurting world. The final gift is yet to be fully appreciated. Sin, sickness, sadness, sorrow, shame, separation, are all limited to this fallen world, they have no place in our future with Jesus. There is only Light, Peace, Joy, Praise, Glory, Worship, and …..well, language is inadequate to begin to describe even the microscopic glimpse we have of our certain future. Why on earth would a Christian not say a hardy and heart-felt “Merry Christmas!“? I appreciate each of you who read Grace Digest. May God’s peace rule in your hearts as we have a tiny taste of God’s glory in this holy season.